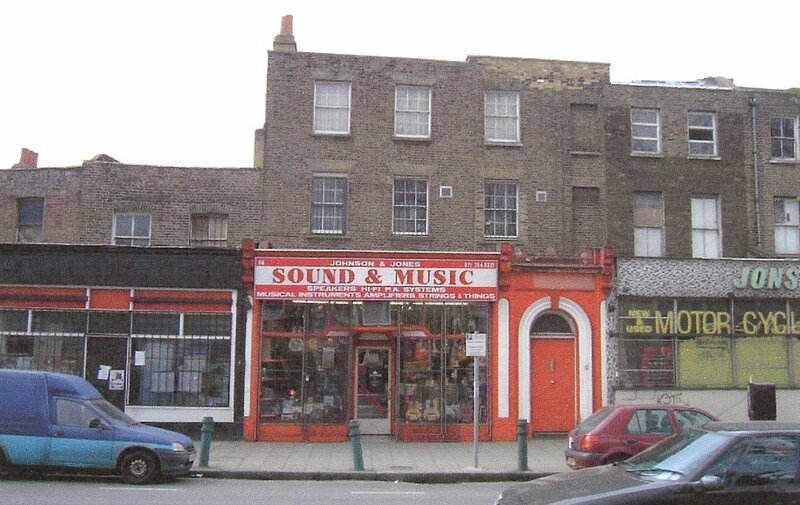 This is 60-66 Dalston Lane as it looked when the Council declared the Dalston Lane (West) Conservation Area in January 2005. OPEN has previously written here about the history of this terrace. Guy Nicholson, Hackney Council's Cabinet member for regeneration, said at the time "We're keen conservation areas are used to bring buildings back into use and create improvements to the built environment". Conservation of historic buildings maintains the character and contributes to the economic regeneration of an area. Here is a before and after example of some recently refurbished houses in Mile End of a similar period and style. But in nearly three years since the conservation area was declared the Council did nothing to conserve the Dalston Lane houses. 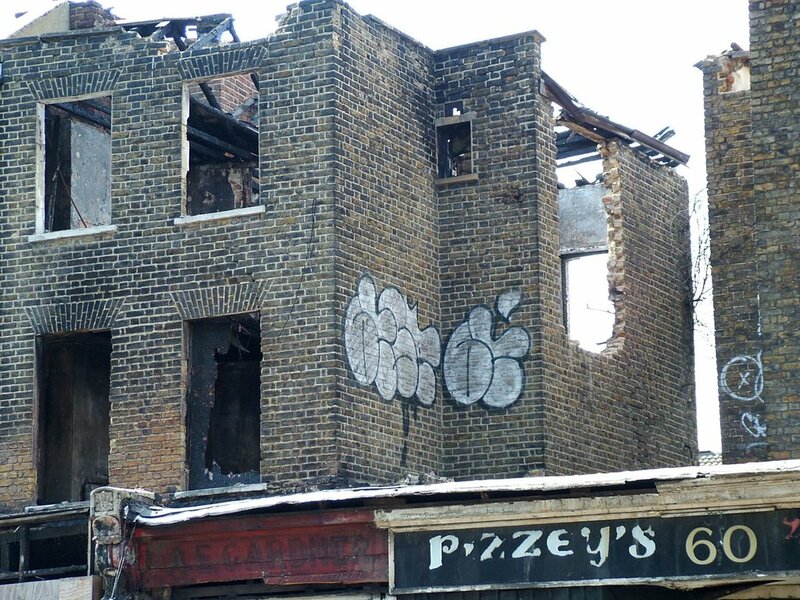 They continued to deteriorate - four were fire bombed, further structural damage was inflicted on another, some businesses gave up and left whilst others were evicted on the grounds that the new owner intended to undertake major works. No repair or refurbishment took place. It seemed that no one wanted these houses and businesses to survive. The Council had acquired 16 of the houses in the terrace when the GLC was abolished in 1982. Only five were left occupied twenty years later when the Council sold them, and many other houses including those in Broadway Market, at auctions in 2001 and 2002. Following a public outcry and an inquiry into these sales the Council resolved, in March 2006, to urgently consider what could be done to preserve the Dalston Lane houses. However still no action was taken. Our local economy and environment were being destroyed. A petition was started and in December 2006 OPEN members, including local residents and businesses, made a deputation to the Council's Cabinet when assurances were given that a refurbishment scheme would be underway by April 2007. Still nothing appeared to happen until July when, it is said, the Council served legal notices on the owners seeking their undertaking to protect the structures. In August the Council erected hoardings around 60-64 Dalston Lane. 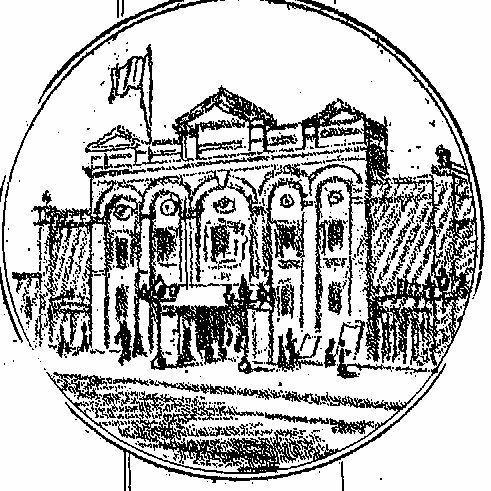 On 10 September 2007 the Council's newspaper, Hackney Today, announced that a conservation project to preserve and enhance the terrace had begun. This time Councillor Guy Nicholson said "The Council is committed to enhancing Hackney's built heritage and using Conservation policy to bring this about". Urgent works are said to be already underway. Compare the pictures above and below to see what has been achieved to date. It will take more than Council policies and a lick of paint to answer public concerns. April 1982 - various Georgian houses in this terrace transferred to Hackney Council when the Greater London Council was abolished. 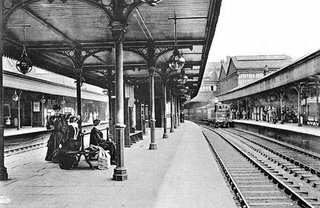 At that time most of the properties were occupied by business tenants - restaurants, a tailor, a florist,a bakery,a post office, a locksmith, a grocery store, music and record shops and others. These two pairs of Georgian houses at 16-22 Dalston Lane remain occupied today. 1990 - by this time all but two of the business leases had expired and were not renewed by the Council. Houses which became vacant were not re-let and were boarded up or squatted. The tenants who remained after their leases expired held over without full security of tenure - easy prey for any developer acquiring the freehold. 1995 - a planning application to demolish the Georgian houses at 22-44 Dalston Lane and redevelop with a neo-georgian facade was approved. An amendment to the design was approved under officers delegated powers. This Peabody development was built. November 2001 - the Council was £70m in debt and proposed to sell the houses as one lot by formal tender. Its agents, Nelson Bakewell, issued an information pack which stated “The buildings are of some architectural merit... however the Council may consider the partial or total redevelopment of the terrace." 11 houses were by this time vacant, 5 were occupied. Many had become uninhabitable by long term lack of maintenance and neglect. The sale did not proceed. April 2002 - The houses were advertised to be sold individually at auction. Some tenants put forward written offers in excess of the auction guide price but were told by Council officers to bid at the auction. 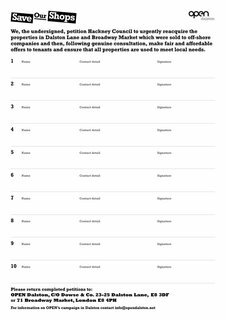 But at auction the houses were offered only as one lot and sold, over the heads of the tenants, for £1.8million to an off-shore company, Dalston Lane Investments Limited. 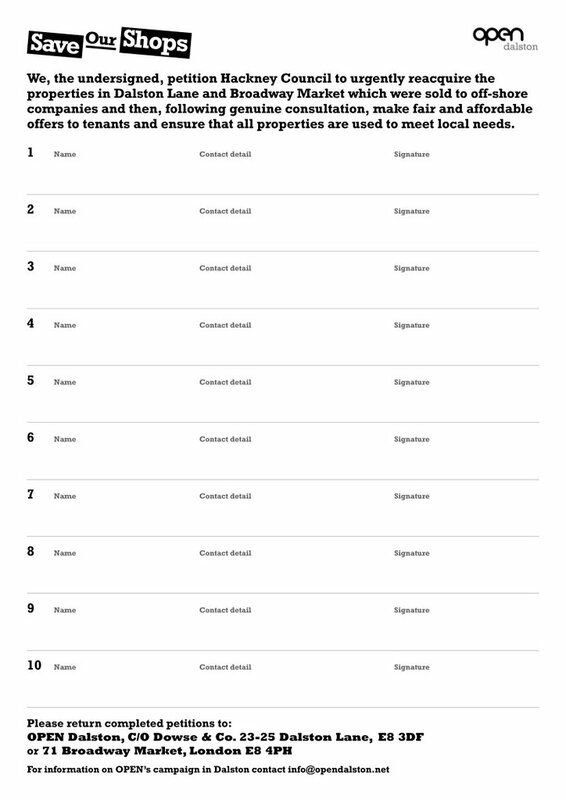 The failure by the Council to first offer the properties for sale individually to its tenants was directly contrary to the Council’s policy and its Standing Orders at that time. Spring 2003 - the new owners served notices terminating the tenancies on the ground of redevelopment and sought increases in rent, in some cases tenfold. Court proceedings for possession ensued. November 2003 - the new owner hived off 60-66 Dalston Lane to a separate off-shore company. April 2004 - the Council refused planning applications for permission to demolish and redevelop the houses because of the proposed sub-standard designs, the loss of heritage, the lack of family and affordable housing and the loss of the character of the street. The owners appealed to the Planning Inspectorate on grounds that affordable accommodation was not a policy requirement, that retaining the buildings was uneconomic and that the proposals offered a regenerative opportunity. 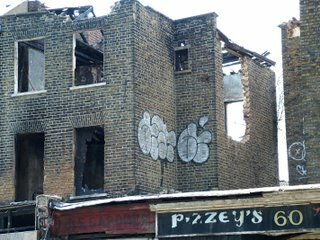 July 2004 - a major fire completely destroyed 74 Dalston Lane, the vacant building next to the Star Bakery which was facing possession proceedings. A temporary roof covering was provided but, during a period of high winds some weeks later, this roof blew off and landed in Dalston Lane, a major bus route. September 2004 A squatter in 62 Dalston Lane was visited and warned that he should leave. A few days later he had to jump from the 1st floor into Dalston Lane when fire broke out. 62-64 Dalston Lane were burnt down. The police reported that they believed the fire resulted from an arson attack. September 2004 - a Council officer commented that if the structures of 62-64 Dalston Lane were not secured in early course their survival would be put at risk. Nothing was done. 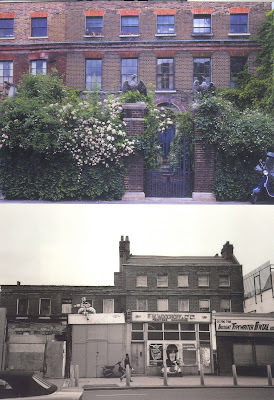 January 2005 - Hackney Council declared the houses part of the Dalston Lane (West) Conservation Area. The consultation report identified various heritage grant opportunities arising, but none of these were acted upon. 2006 - the vacant house at 76 Dalston Lane was burnt down. 2006 - The roof, and bricks from the flank walls, of 60 and 62 Dalston Lane were deliberately knocked out destabilising these houses further. March 2006 - the Council resolves to begin work immediately to assess the use of its enforcement and compulsory purchase powers to regenerate the houses in Dalston Lane. 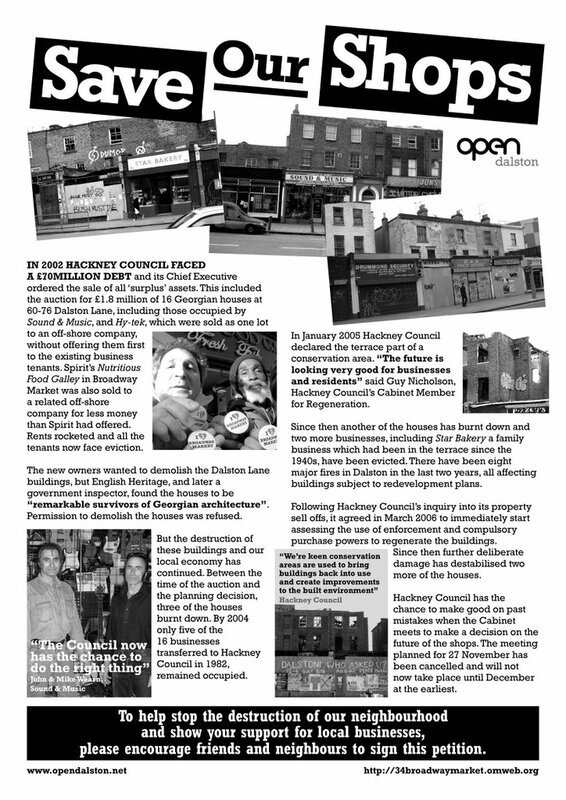 December 2006 - report to Council's Cabinet regarding regeneration of Dalston Lane. January 2007 - Dalston Theatre and Georgian houses at 8-10 Dalston Lane demolished by Hackney Council to make way for tower blocks. August 2007 - hoardings erected around 60-64 Dalston Lane. An example of a restored Georgian house is just across the road.